Over the past few years I have come to adore working with gemstones that have druzy crystal formations. 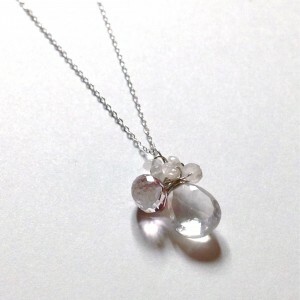 Although the larger, freeform pieces are fantastic to work with, I found myself craving something smaller and a little more demure, something that people might want to wear in every day life. 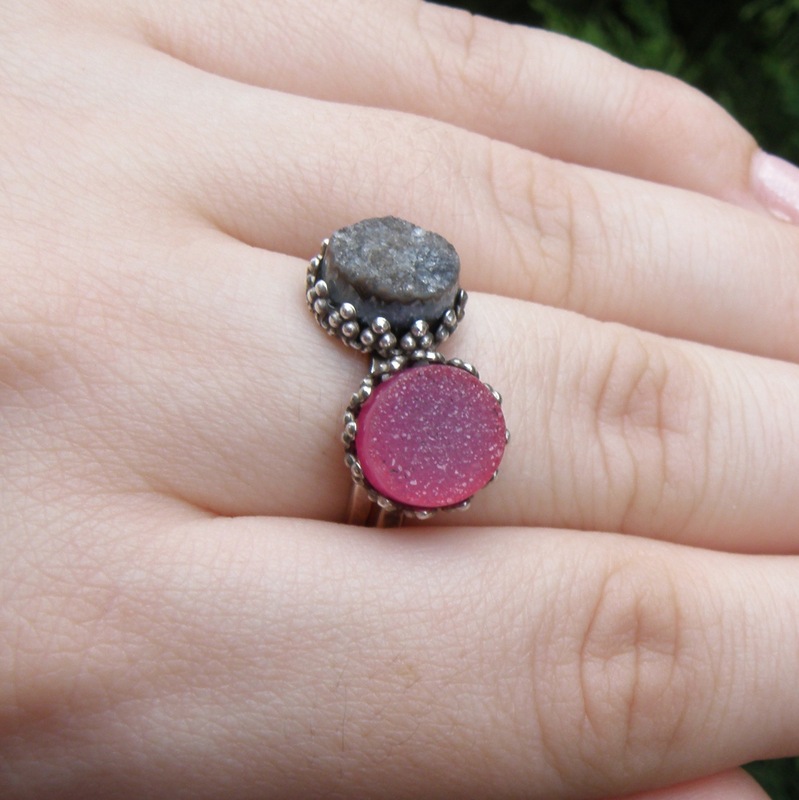 I wanted druzy stones small enough to make stacking rings, and they weren’t easy to find. 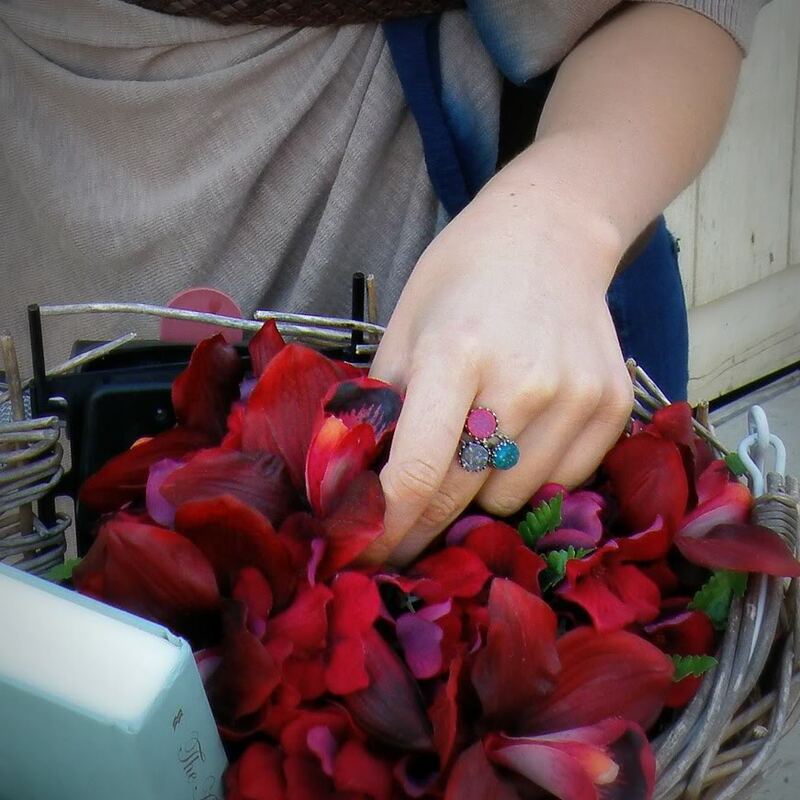 Ultimately, I had to get some gemstones custom-cut at the mine especially for BB! 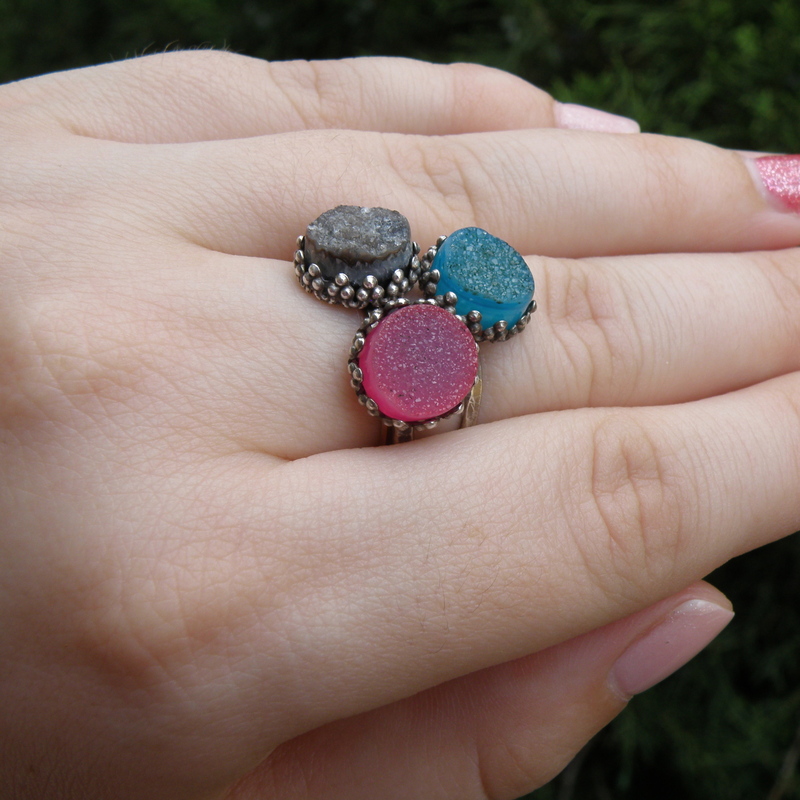 These druzy stacking rings are the result of that journey. 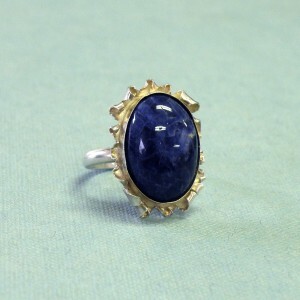 They come in a variety of colors, and each precious little druzy gem is set into a handmade sterling silver setting. The hammered bands are crafted to be adjustable while still feeling solid all the way around when you wear them, and they fit comfortably from about sizes 4-10. This listing is for one ring in PINK chalcedony druzy alone, and the ring is shown stacked with other rings in the photos. Wear it alone, wear it with other stacking rings – no matter how you style it, you’ll love the natural sparkle glittering from your finger! 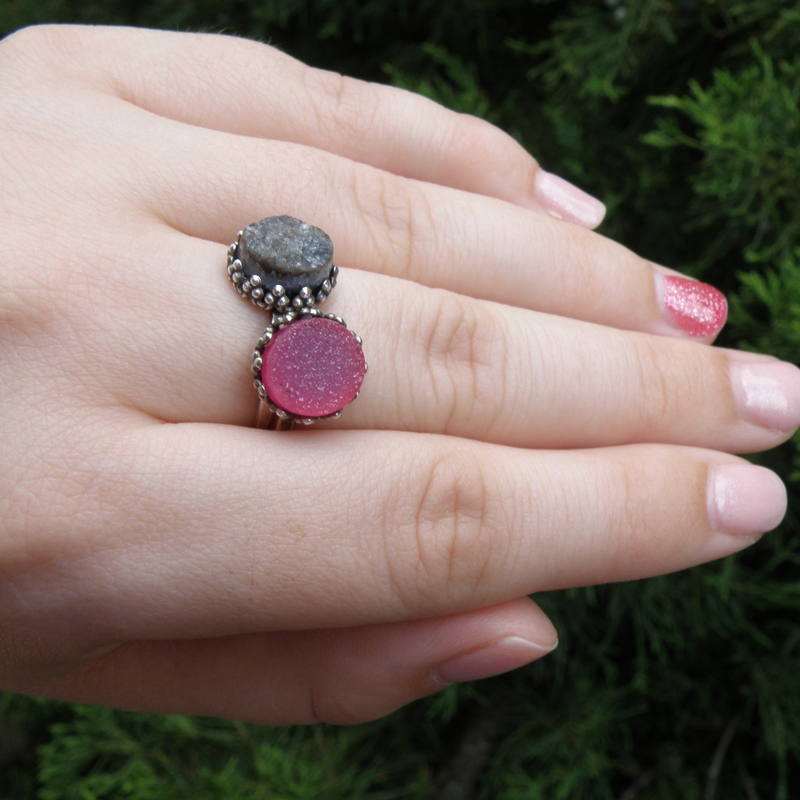 Categories: Druzy Collection, Rings. 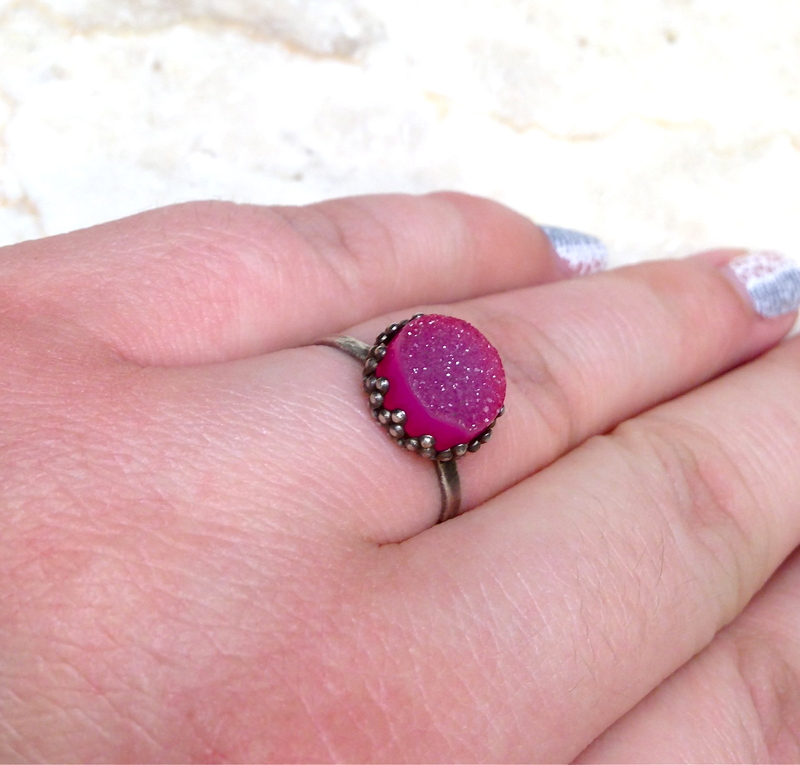 Tags: artisan, chalcedony, crystal, druzy, fuscia, gemstone, handmade jewelry, pink, stacking ring, sterling silver.